Looking for something to do after Thanksgiving, but don’t want to hit the malls? We’ve added 3 registered events for this shoot – 5-Stand, 20 gauge, and 28 gauge! Don’t miss this year’s fabulous Black Friday event. 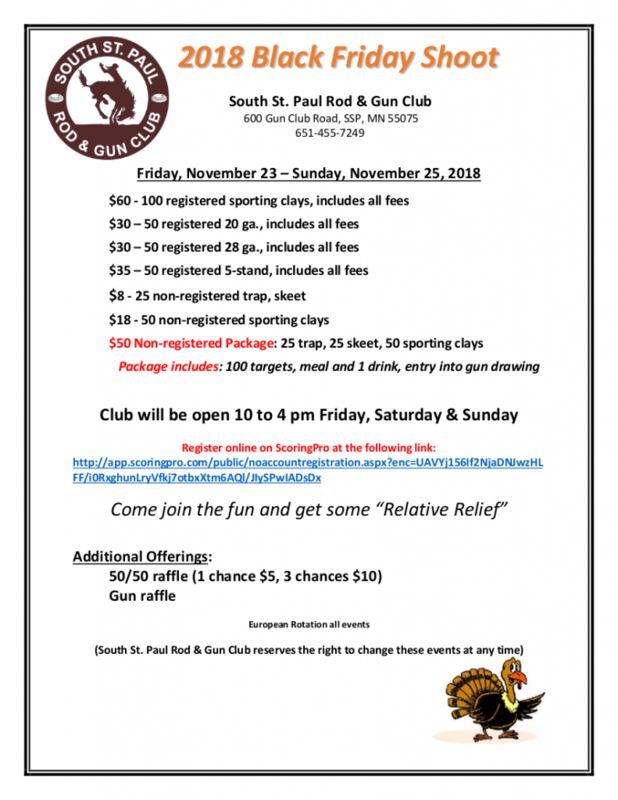 Shooting, a gun giveaway, raffles, and a great meal await you. Register online on ScoringPro here.